Take the best pictures of the Eiffel Tower. For more comfort, your tour starts directly at your Parisian accommodation. Our local guide greets you and takes you on a wonderful journey through Paris. In between locations you will take the parisian metro (subway), your guide will provide tickets for you and explain you everything about it along the way. For more comfort you can take the option of a private car and chauffeur. You can also decide on your day to get taxis ( at your charge). After your guide has shown you the best local spots around your hotel (or apartment), it's time to head to our first major site, the world famous Notre Dame Cathedral. Be ready to explore a lost world of medieval fairy-tales and legends and understand how its magic still captivates us today. From there, you will wander through the ever-charming Cité and Saint Louis island, where the soul of Paris resides. Your local expert knows all the best food parlors and will take you for a croissant, an ice-cream or a bit of cheese - that's up to you! After lunch in a local bistro or restaurant (your call), your day continues to the iconic Eiffel Tower area. Admiring the Eiffel Tower from the best photo spots is a real treat. The last gem of our day is Napoleon's folly, ie. the Arc de Triomphe. 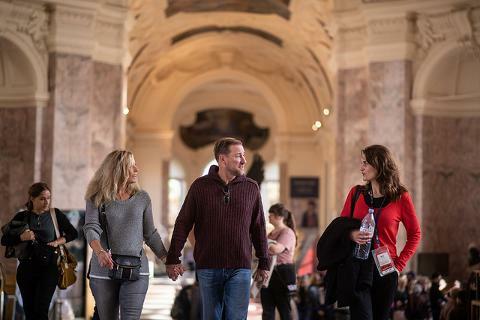 From there, we will contemplate 20 centuries of Parisian history and relive the highlights of the day: Notre Dame and the Louvre aligned in the East, the Eiffel Tower standing in the South, and a whole lot more of Paris surrounding us and ready to be explored. 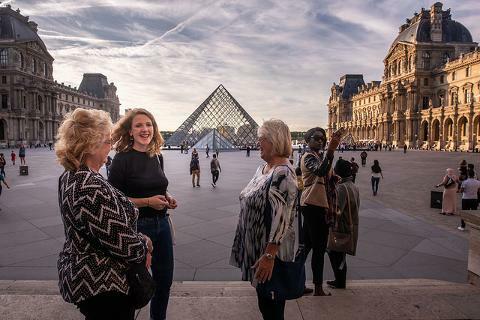 At the end of the day, it's not only a fantastic journey through Paris you will remember, but a walk through Art, History and Culture like no other. This is where your local guide will give you a list of recommendations for where to go and what to do for the remaining days you have here with us. There is nothing like tips and advice from a friend who lives in the city!